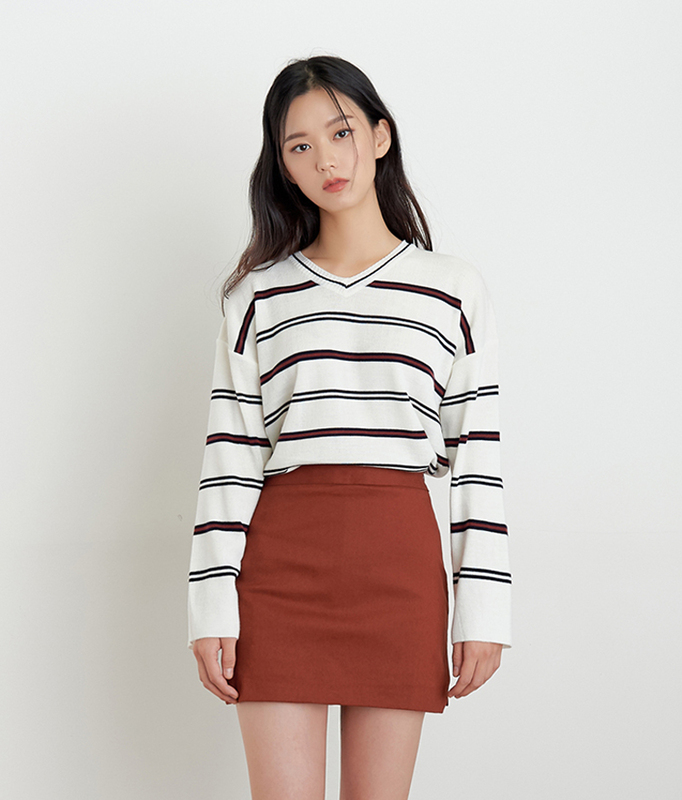 Easy to style and comfortably cozy, this knit top is your best bet for an effortless casual look. It comes with a V-neck, long sleeves, a stripe pattern, and a loose fit. Tuck it into your mini skirt, then match with sneakers for a cute and youthful finish.